Turmeric is making news again! And this time the research shows it could help save your memory and prevent brain disease! That’s one of the most important things you can do as you get up in years. 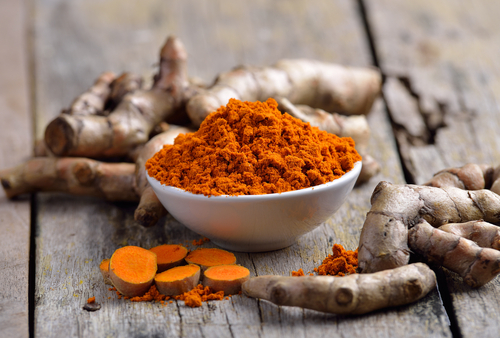 And just recently we learned the exact dosages of turmeric that can produce therapeutic results for a variety of conditions, from arthritis to heart health, to cognitive function. But only recently have medical researchers discovered why this root — which makes the spice used in curry dishes — is so beneficial. That’s important because medical science tells us that oxidation and chronic inflammation are at the heart of the degenerative diseases, including arthritis, diabetes, heart disease, cancer, Crohn’s, Parkinson’s, Alzheimer’s and many more. When you fight chronic inflammation and oxidation — and their related free radical generation — you slow Father Time and help prevent disease. That means turmeric could be the most important supplement you take — even more important than the B vitamins, Vitamin C and D, and the Omega 3 fatty acids. Turmeric supports a healthy brain, and even assists in the growth of new brain cells.6 Another active ingredient in turmeric, called aromatic turmerone, may help the recovery of brain function in neurodegenerative diseases7 and stroke. And turmeric fights aging itself, as its antioxidant properties work to neutralize cell-damaging free radicals, a benefit that could prove especially helpful in preventing Alzheimer’s-Dementia. Cell damaging free radicals develop from chronic inflammation, from a poor diet, from alcohol and prescription drug use, from exposure to sun and pollutants, and age-related oxidative stress. That’s pretty hard to avoid, but you can fight it – and should. A free radical is a molecule that’s missing an electron. Electrons come in pairs, so when a molecule loses one, it becomes unbalanced. And in that state, it’s chemically unstable, highly reactive, and destructive. And even when free radicals succeed in stealing electrons from healthy molecules, they don’t necessarily become normal again, but their victims do become new free radicals. In the worst cases, free radical activity can become a cascading problem, with one creating another, in a chain reaction that generates billions of new free radicals every second. That’s aging. In the worst way! Those wrinkles on your skin? Free radical damage. Those shrinking muscles – free radical damage. Loss of memory? Free radical damage. Inflammation… free radicals… cell damage. None of this is good. So, what can you do to stop it? To the extent you can prevent free radicals from forming, and to the extent you can neutralize those that have already formed, you’ll slow the aging process and prevent degenerative diseases. Turmeric, with its anti-inflammatory and antioxidant properties, is one way — perhaps the best way — to work toward that goal. So turmeric is a great option for everyone getting up in years who wants to slow the ravages of aging and prevent mental decline. Where did I put my keys? How did I get on this street? These instructions are so confusing! It could be simple forgetfulness. Maybe a distraction. But no question as we age we experience mental decline. And when you suffer cognitive decline, you can lose your confidence to interact with others… to work… and even to take care of yourself. No need to get on that slippery slope! From the studies, we know that one of the best ways to support brain health is to add Turmeric to your diet. And in the process, you’ll also support joint health, cardiovascular health, digestive health, and graceful aging. So, how to get it? Should you move to India and eat a lot of curry dishes? Frequent an Indian restaurant? Or cook with curcumin at home? You could, but it won’t help enough. In most turmeric studies, the health benefits were seen only after the dosage reached 1 gram of concentrated curcuminoids per day or more. The University of Maryland Medical Center, for example, recommends 1.2 to 1.8 grams of turmeric daily12 for a number of ailments. You’d have to eat curry dishes morning, noon and night, and even then you’d probably fall short of the recommended daily dosage. There’s another way to get all the health-promoting curcumin you need, and it couldn’t be easier to do. Just take a high quality turmeric supplement with a high degree of concentrated curcuminoids. Studies show that 1 gram of curcumin per day supports healthy blood sugar levels… a healthy inflammatory response… and comfortable joints. For heart health even less can be effective. Studies show a benefit for as little as 150 mg per day, but doses can safely go up to 4 grams per day. For digestive health, studies show benefits at 1 to 4 grams per day. And most important to our discussion today, several studies show that turmeric supports brain health and cognitive function at between 500 mg and 1 gram per day. But when buying a turmeric supplement, watch out for two pitfalls — low quality and poor absorption. Unfortunately, because turmeric studies have been in the news with impressive results, some shady supplement makers have jumped on the bandwagon, flooding the market with cheap products. Many of these turmeric supplements don’t contain the quantity or quality of curcuminoids that would offer therapeutic benefits, so they’re a complete waste of money. By itself, turmeric is not well absorbed, as it’s not water soluble. That’s why it’s so difficult to get enough curcumin from foods. 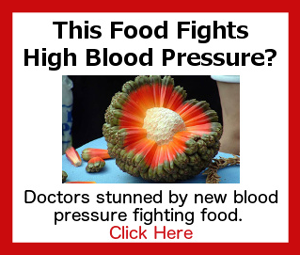 It’s also why many turmeric supplements don’t do anything – you can take them, but very little of the active ingredients get into your bloodstream, and therefore never reach your brain. Is there a way around the absorption problem? Fortunately, yes! Curcumin is fat soluble, so you can improve absorption by breaking open the capsules and mixing the powder with coconut oil, flaxseed oil or olive oil. But the easiest way is to choose a supplement that has an absorption enhancer, such as genestein or the black pepper fruit extract known as piperine. That makes a huge difference. One you’ll feel in your mental function, joint comfort, blood flow, and improved health because the curcuminoids will be circulating in your bloodstream. First, make sure your turmeric supplement is a quality lab-tested brand, one adhering to Good Manufacturing Practices and whose facilities are FDA registered and inspected. Second, make sure the turmeric formulation contains at least 1 gram of concentrated curcuminoids, and if you’d rather not mix it with fat, get one that includes an absorption enhancer. Third, look for a formulation with at least 1 gram in just two capsules a day. That way, you can easily double or triple the dose, if you desire greater therapeutic benefits. I don’t have to tell you how important it is to protect your ability to think, to reason, to learn and to remember. That’s your life! And, of course, it’s always a good idea to prevent chronic inflammation and excessive free radical formation – the culprits behind most diseases. The evidence is clear — to support joint health, cardiovascular health, digestive health, brain health, and healthy aging – turmeric is your friend and should be at the top of your supplement list. In fact, it may be the most important supplement you take. Click here to discover more high-quality, science-backed supplements. Don’t forget to share this important information with your friends and family!